Finally a Glow-In-The-Dark Version! 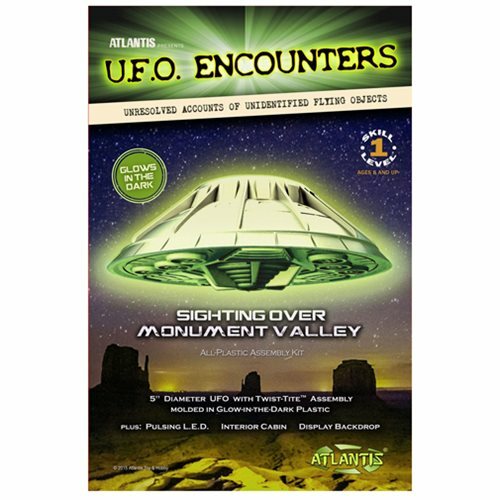 The Monument Valley UFO Glow-In-The-Dark 5-Inch Model Kit with Light features a photo backdrop of Monument Valley. Molded in crystal clear glow in the dark plastic and including an LED light kit, this model can be built in flight or on the ground. Includes a nice Interior for detailing, a photo diorama backdrop, and stand for display. Features easy Twist-Tite snap-together assembly. Ages 8 and up.